Welcome to BlueBerriest.com, an online shop that carries hand-made custom products created by a work-at-home mother of six. 6 More New Slings! 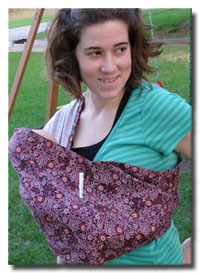 Check out our slings page for the new options! Turn your child's drawing into a custom handmade huggable, lovable creature! The slings are available in a wide variety of fabrics, with new fabrics becoming available on a regular basis. Crayon Cozies, keeping all of your crayons together, safe and warm. Customer service is a top priority at BlueBerriest. Being busy parents ourselves, we know the value of a good product and a satisfied customer.